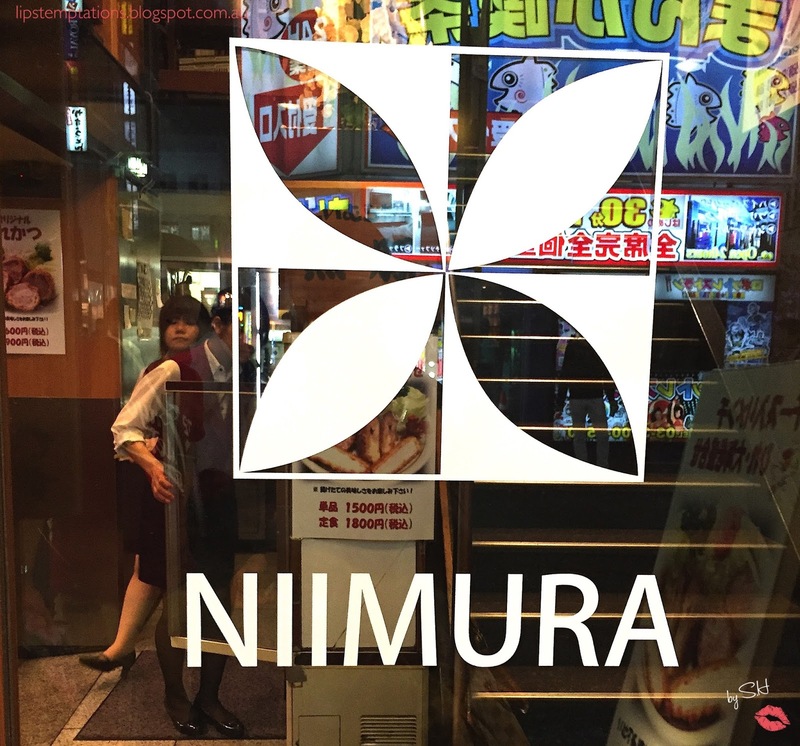 Nimura was established in 1961. Kabukicho - Shinjuku is their first restaurant and since then they open 3 other locations, all located around Shinjuku area. 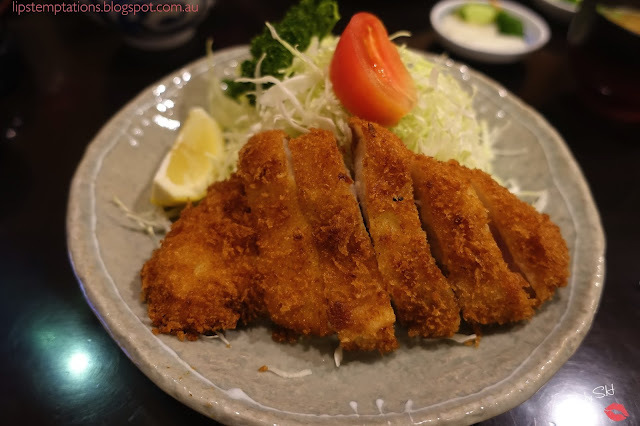 Nimura is a casual dining restaurant and specialise in tonkatsu. The menu is in Japanese but they have pictures and some description in English so it will be easy to order, in front of the restaurant they also have plastic models of some of their popular dishes. They also serve a selections of Japanese sake and beer. 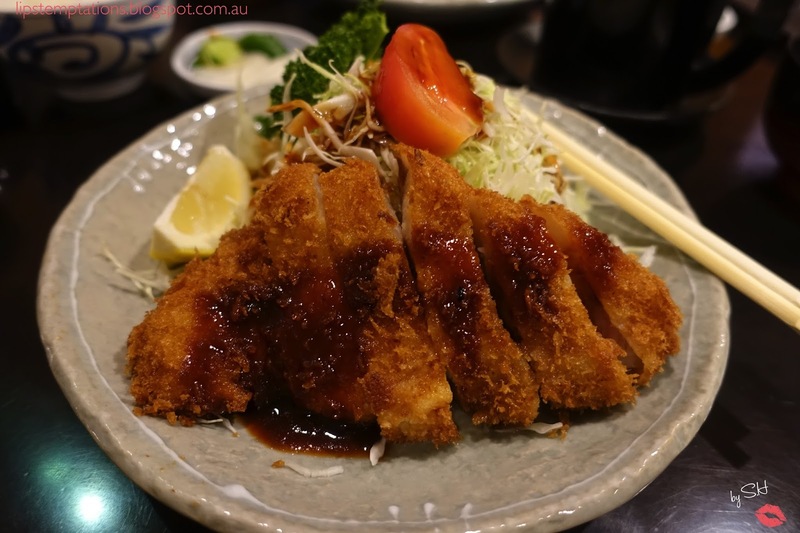 The meat they served for their famous tonkatsu are the highest quality Berkshire pigs grown in Kagoshima. It's fat is insoluble, light and of course have the highest quality. It also has condensed natural taste. 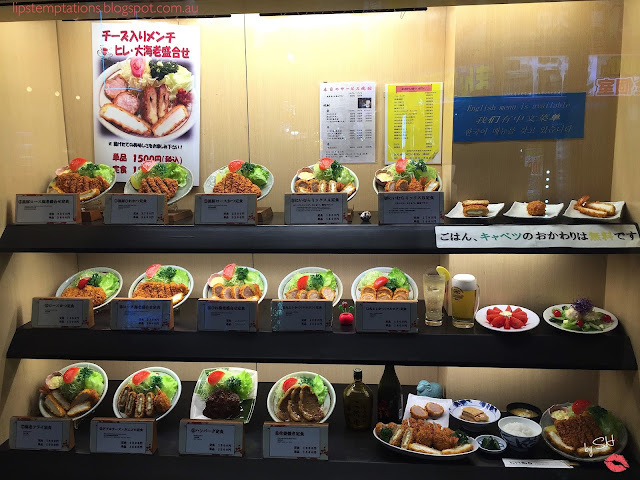 The other popular menu is their pork fillets and Japanese beef hamburgers. 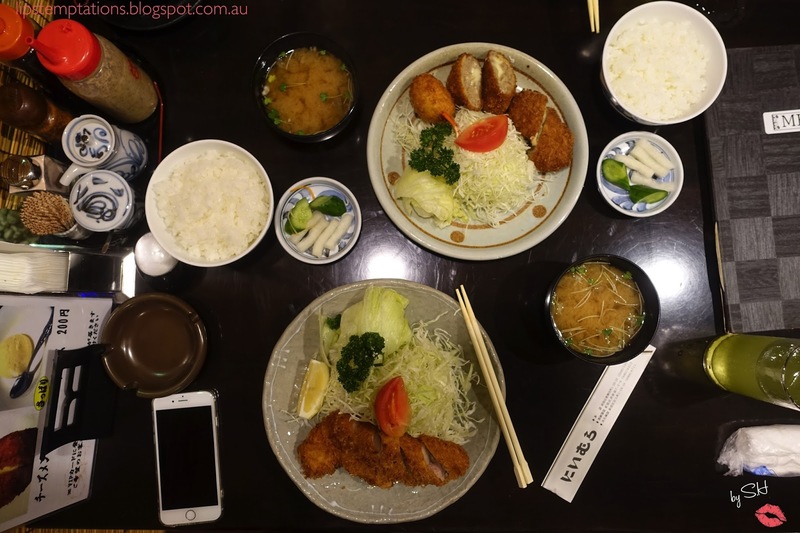 I visited Nimura on my first night in Tokyo and found this restaurant by chance and I'm in the mood for tonkatsu. 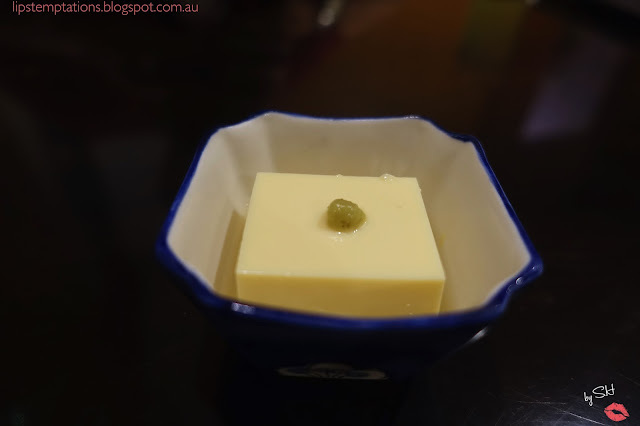 While waiting for our mains to come they served us complimentary cold silken tofu with a pinch of wasabi on top. They are so soft and smooth, light and refreshing. Perfect to open up our palette. For the main, of course I decided to order the famous Berkshire deep fried loin cutlet set including rice and miso soup (2500 yen). The cutlet was amazingly juicy, not as oily as I though which I like. 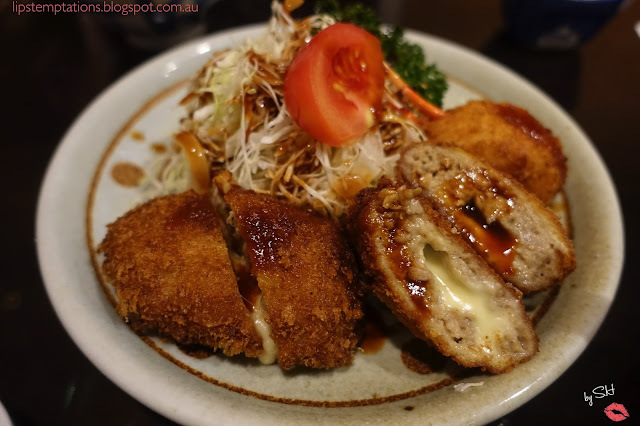 The pork are very tasty, the tonkatsu sauce was thick and sweet. It certainly have the melt in your mouth sensations. The rice was nice and warm, they are cooked perfectly. The miso soup was also a nice combination to the set. 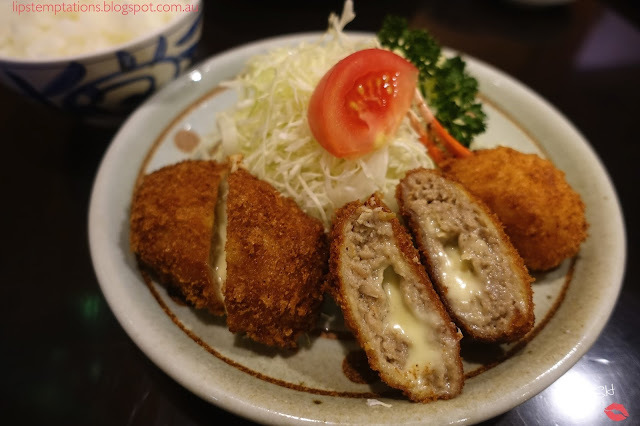 Minced meat with cheese and crab croquette set including rice and miso soup (1500 yen). The minced meat with cheese also have the melt in your mouth sensations, they offer a different taste than the loins. They are easier to swallow and a bit crumbly cause they are mince meat and the sticky salt cheese helps hold the things together perfectly. Both dishes has an amazing coating, the coating is one the thing that makes it special. It was crunchy, fluffy and a bit crumbly and not that oily. It ends with a nice glass of hot green tea. Overall, it was a great dinner and money well spent. The services was lovely and the restaurant it self have a warm and cozy Japanese wood interior. The only let down was the allow smoking inside the restaurant and I have a low tolerant of cigarettes smokes.